By Anonymous, I have three daughters ranging in ages 14, 16, and 24. They make me watch the new movies and give me reviews on them. All girls want some movies to watch on those saturday mornings. Either they want the lastest, best movie or they want a old classic. I decided to create this list so that any teen girls or girls in they're young adult years (20-28 years old) can sit back, relax, and watch a great movie that everyone is chatting about or a movie that used to be so popular that today it makes movie history. 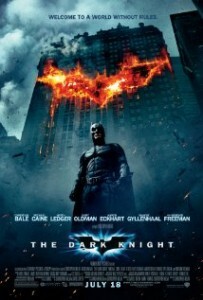 Not only does everyone love this movie, but it is the best movie of the year! The movie is about a young girl Hazel who is 16 and she has Thyroid cancer. She is very depressed and does not know what she is going to do with her life. Her mother makes her go to a therapy class for people who have problems physically or mentally. She is frustrated because she does not want to go. Her mom makes her go anyways and she is not a huge fan. While she is sitting a handsome young man who is 18 smiles at her. She feels awkward at first and does not make any nice gestures. This happens continuously throughout the class. After the class is done she talks to him and finds he is very cool. The movie is based around they're romance and how much they love eachother even though they both have flaws. It is a great movie for young adult girls and teens. Ever since the movie has come out my daughters have watched it atleast 5 times each. 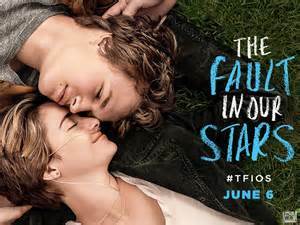 It stars the gorgeous shailene woodley as hazel and the handsome Ansel Elgort as Agustus. The classic that no one will forget. Once of the best highschool movies in the 2000's. Mean girls. This movie is great for girls ranging from 16-26. Maybe even older because i love it myself! The movie is about 16 year old Cady (Played by Lindsay Lohan) who moves to a new town in California from Africa, she has also been homeschooled all her life and now she is going to a public school. She makes new friends on her second day there with a guy who is 'Too gay to function' and a outcast who has been friends with Regina George. Who is now the hottest, most popular girl in high school. On the third day of school Cady is invited to sit by the mean and popular girls of the school, Regina George (Rachel McAdams), Gretchen Weiners (Lacey Chabert), and Karen Smith (Amanda Smith). During they movie it starts out as a trick to see the funny things that they do and talk about. This was Janis Ian's (Lizzie Caplan's) idea, the girl who Cady had become friends with the second day she got they're. After a while Cady falls for Regina's Ex Aaron Samuels who is a classic hottie. During the movie she gets a makeover, starts trying to get Aaron to date her, and she turns into a mean girl. 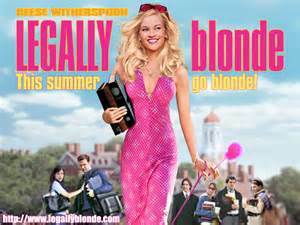 It's a great movie for any girl because it is fun, a highschool based movie, and it is great acting and has great actors and actresses. Another great highschool, teen, and drama movie? Watch Clueless! Clueless is a great movie based around a teen girl who is great with fashion. She is very rich and she loves to shop. What girl doesn't? 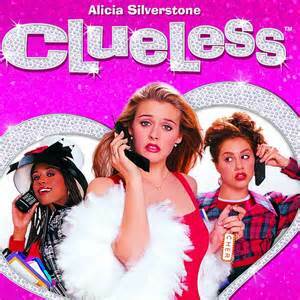 The movie is based around the scene of 1995 and stars Alicia Silverstone who plays Cher Horowitz as the main character. She is the popular, most pretty girl in school. She takes in a new girl in school who has NO experience in beauty at all and is very poor. She dolls her up, buys her new clothes, and she becomes so popular that she starts snobbing off Cher and exagerates a story that she almost died in the mall while Cher was there which makes her more popular than Cher! Cher also lives with her step brother that she becomes closer to throughout the movie. This movie is great for anyone who wants to see an old classic movie based around they're age! 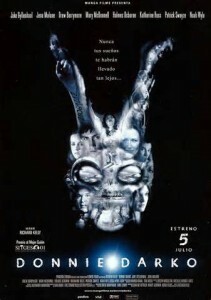 Donnie Darko is a movie about a 17 year old who is extremely intelligent and thinks he is crazy. He always sees a man who dresses like a rabbit and he talks about strange things. By extremely intelligent i mean he is very smart and has very good reasoning on every sensetive topic. Donnie is forced to go to a therapist so that his parents know what he is going through. It's hard for Donnie because he does not know is he is a psycho, hallucinating, or if he can just see things others dont. Is everything real? He thinks to himself. The one thing he always feels is alone. When a new girl comes to school who is very beautiful he starts gaining to like her. He does not know what he likes about her but he knows that there is something special. 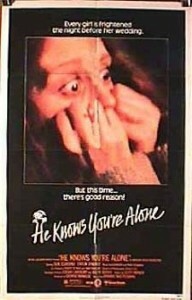 He finds out she has alot of tragic in her life as well, her step dad abuses her mom. Even though he left, he comes back. Donnie starts falling in love with her. The movie is based around all of this and it is the best movie of all time for ANYONE. OOOh, Looks like i found a romance brewing. 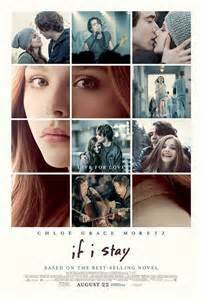 If i stay is about a young girl who loves music, and when her crush sees her play in the music room he starts liking her. During the movie she starts falling in love with him and they have difficiculties in they're relationship, but they get through everything. At almost the end of the movie her parents get in a car crash and everyone dies except her. She stays in a coma. At the very end of the movie then BAM she wakes up and its over. It is a great romance and sad movie starring the beautiful Chloe Grace Moretz. You know how everyone talks about those dumb blondes who dont care about anything except for clothes, makeup, and money. Well gorgeous elle (Played by Reese Witherspoon) proves them WRONG. After her boyfriend tells her that she is not the ''same'' as him and she is not smart, she shows him that she is just the opposite. She goes to Harvard where he is going to school and as she is there she becomes smarter and smarter and she also starts loving it and starts to study what she wants to do in law. Turns out she is a great lawyer! How does she win her first case? The girl was lying about taking a shower after getting a perm! She also might find another love and ditch her old man. It is a great comedy and is very extra girly! 10 things i hate about you is about ill tempered Kat who wants nothing to do with a new guy at school. Her sister Bianca is perfect while she is very rebellious. Bianca falls for a guy named Joey who wants her for all of the wrong reasons while the guy whon likes her, likes her for all the right reasons. The new guy at school is as ill tempered as Kat and they fall in love. 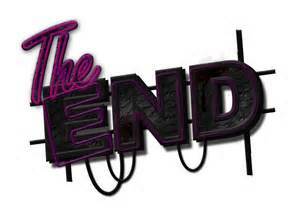 It is a great teen romantic comedy. Wild child is for anyone who wants to see that rich girl drama at school. Played by Emma Roberts as Poppy, the popular girl at school. She always gets in trouble and her dad has finally had enough of her throwing around money all of the time and sends her to england. Poppy then starts to learn who she really is and starts to behave herself more. She falls in love as well with a handsome english man. When she goes to England she is forced to go to her mom's old school, but she does not know her mom went there until a while later. It is a great teen movie. Sorority wars is based on a girl played by Lucy Hale who goes to college and decides to pick a sorority. When she decides between the high class dramatic sorority and the really sweet sorority. She picks the second one and the other sorority is VERY upset. They do revenge for not picking them and they try to destroy her, and finally her sorority fights back and its sorority WARS. This is a hilarious comedy and romance where Amanda Bynes plays a tomboy girl who pretends to be her twin brother at school. She pretends to be a guy and she falls in love with a guy whom she shares rooms with who likes a girl who thinks Amanda is a guy and likes her. It's a crazy mixup and this college comedy goes through her pretending to be her twin brother. Those were all of the Best teen movies, either with romance, comedy, or both! These have been the latest obsessions, and the oldest obsessions that are still so popular because of how loved they are. Hope you find this useful!